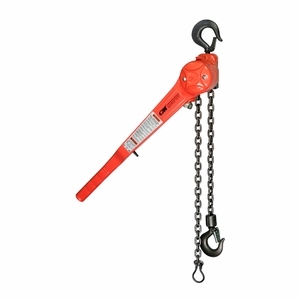 The CM Puller is designed for heavy-duty construction and industrial applications. It is used to pull, lift, drag or stretch. It features a tough aluminum alloy construction and a powder coat finish, making it weatherproof and ready for outdoor use. Simple construction with fewer parts means easy maintenance and less buying of new hoists over time. Hoistaloy hardened steel link-type load chain for strength, long wear life and flexibility. Weatherized Weston-type automatic braking system makes for positive load control. One-handed operation is possible with only 58 lbs of force needed to operate the 3/4T model to capacity. 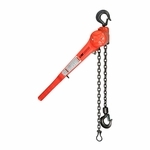 Forged upper and lower hooks are furnished with safety latches. A free wheeling mode allows for fast and easy load attachment. The hoist also comes with a lifetime warranty and is made in the U.S.A.